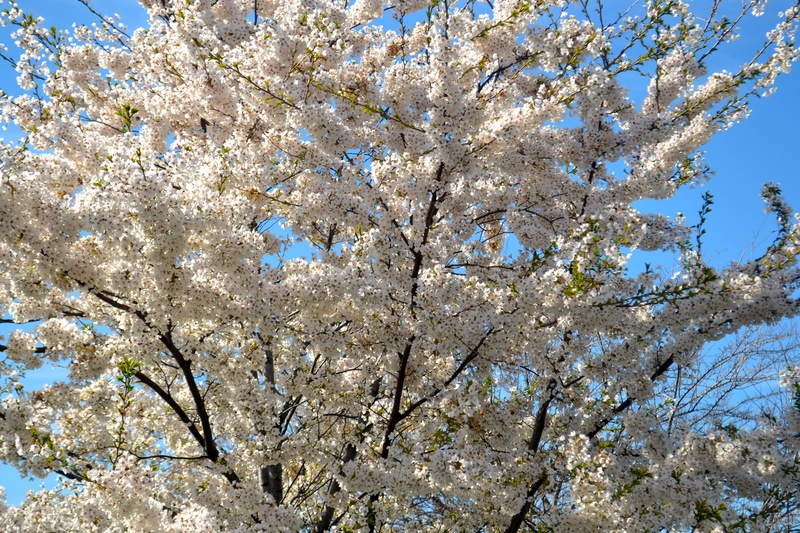 So it’s finally spring in New York, and let me tell you, it almost makes up for how awful and long and hard and cold winter was. Almost. But it is an interesting phenomenon. The temperature rises, the trees start to bloom, and everything feels better. I am happier and feel more capable of doing anything – traipsing about with my kids, making friends, attending events, brainstorming new ideas, reaching out. Life not only seems bearable, but wonderful and filled with possibility. I go on runs and smile at the people I pass and love waking up to the light-filled mornings as the sun creeps up earlier and earlier each day. And there’s something about making it through the winter that makes the spring so much sweeter. You’ve conquered yet another challenging season, one filled with darkness and snowdrifts and icy roads, freezing temps and even colder wind chills, days of being cooped up inside and mornings of slipping your way to the subway. And now you’re on the other side – stronger and braver for enduring the hardship. But the thing about the spring – it always comes. We never have endless winter. Even when the cold seems to last forever, even on the shortest, darkest days – the spring always comes. Why is it to hard to trust the truth that we know? I am constantly doubting and forgetting God’s love. I frequently get stuck in the winter depths, forgetting that the promise of spring always comes. Just now, I’m coming out of a dry period with God. A time when I was too tired to make time for Him and too filled with doubt to trust Him. Why spend precious time in prayer??? I thought to myself. It’s not like God ever hears me anyway. I’ve been going to church, serving Communion, teaching at Mom’s Group, praying for my friends, offering my tithes – I’m doing everything that I’m supposed to do. Why don’t I FEEL anything??? I was tired of trying, of reaching out and getting nothing back. (After all, a relationship with God is supposed to be all about getting what WE want, right??) I kept going to church primarily because I had previously agreed to do things – play a trio, serve Communion, perform in the orchestra, attend a meeting – but not because I felt like it was “doing anything” for me. For a long time, I kept praying that God would just show up. That he would make me feel something for Him. I deeply missed the days when I trusted God, found my security and sense of worth and peace in Him. Eventually I gave up and stopped trying. Okay, God, I prayed one day. It’s up to you now. I don’t know how to change my heart towards you, how to stop feeling jealous of my husband, how to be more patient with my kids. I want to feel your presence in my life, I want to believe the words I sing, I want to trust your Word – but I don’t know how to get there. So, tag – you’re it. That Sunday, I took the kids to church by myself like I always do (hubby leaves pre-dawn since he is our Music Director). We left at 8am and by a little after 9, we were very slowly making our way up the third and final set of subway stairs. I was carrying my baby in the stroller (along with all our bags), and following my two-and-a-half year old son. My arms were burning and all I wanted was to get to the top and put the stroller down. No one was around. I finally decided to hurry up the stairs and wait for Brother at the top. “Hey sweetie, I’m just going to take Sister up to the top and we’ll wait for you there!” I intoned cheerily. “You’re doing great! Keep holding on!” I dashed up and at the top, turned around to my boy. “You’re almost there!” I exclaimed. “You’re doing such a good job! You’re such a big boy! !” He was about five steps from the top of a long flight, looked up at me, and beamed. “Hi, mama!” he shouted, cocking his head to the side and making a silly face. But at that moment – he lost his grip on the handrail and his foot slipped on the stair. I watched, horrified, as he tumbled, literally head over heels, all the way to the bottom, his head hitting. Each. Concrete. Step. Along. The. Way. He crumpled at the bottom and the stairwell echoed with his screams and mine. Shrieking, I raced down to collect him, my heart doing gymnastics in the pit of my stomach, my whole body shaking. I scooped him up and carried him quickly back up the flight (I’d left the stroller and his sister on the sidewalk). He was crying so hard he was choking on each breath, and I slowly examined him: could he move this arm? This wrist? This leg? This foot? Did his tummy hurt if I pushed on it? Could he follow my finger with his eyes? I felt all over his head for bumps and examined his skin for bruises, cuts, blood. I found nothing. My most precious boy was – as far as I could tell – 100% fine. By the sheer grace of God. I could fathom no other reason for him to be completely uninjured. I sat on the dirty New York City sidewalk with him in my arms and sobbed, holding onto the side of the stroller. Be careful of what you wish for, people sometimes say. Weeks later, he still talks about the incident, although I definitely suffered the more severe aftermath on that day. “I fell down on subway,” he says, “bump, bump, bump.” “Yes, you did, honey,” I say back. “But you’re okay. You’re okay.” “I okay!” he exclaims. Slowly, God has started to feel real to me again. I tearfully thanked Him for protecting my little boy that day, and that Sunday I cried during most of church. Also, the following Sunday. And the following. And I’ve started reading and praying again – and not just for others’ prayer requests – but prayer that is personal, honest, and intentional. One day I picked up a book on The Lord’s Prayer that I read sometime last year. 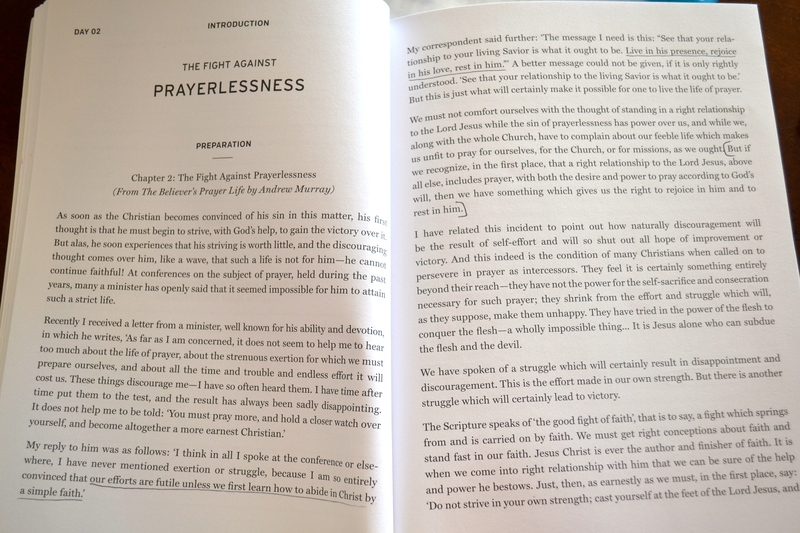 The first three chapters – which focus on the sin of prayerlessness – deeply convicted and humbled me. What is it, then, that makes prayerlessness such a great sin? At first it is looked upon merely as a weakness. There is so much talk about lack of time and all sorts of distractions that the deep guilt of the situation is not recognized. . .
My life now is the same life – it’s not miraculously perfect or easy – but consistent and authentic prayer is changing my perspective again. God was waiting for me, allowing the struggle, merciful in His faithfulness. And He’s always faithful, always there. 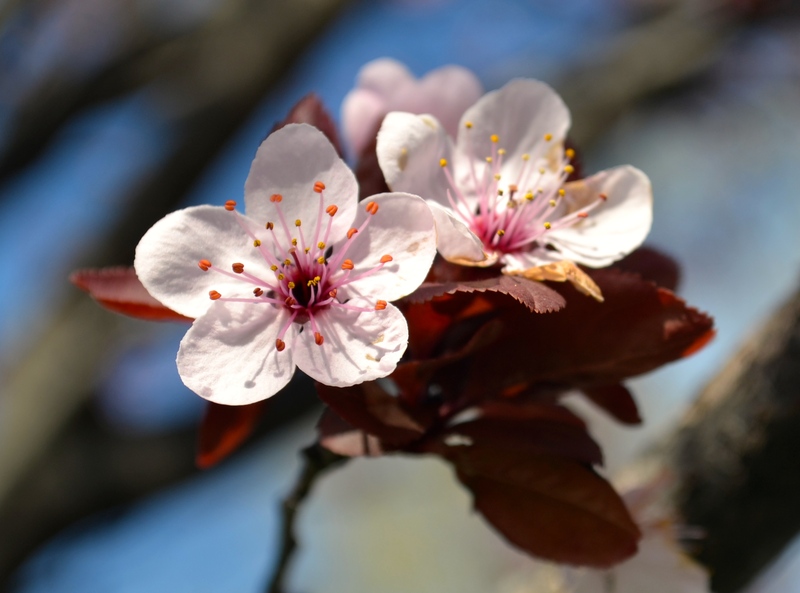 In the springtime, the trees are budding and the flowers are blooming; everything seems better. It’s still the same city, the same trees, the same crowds as in the winter. But the spring always comes. This post went deep. Love your writing, love what you said and how you said it, love your honesty. Thanks for helping God nudge each of us. I hope that the end of my lame excuses begins now. Aw, thanks! those excuses are really beasts aren’t they? they seem so compelling in the moment…but are so empty in the end. I KNOW!!! Great to hear you heart, Leah. I have memories of scary moments in NYC with children, and it makes you become very thankful at the end of the day that everyone is okay. God has plans. I hope in the future someone can help you! !